KARAT » Projekty » Counteracting discrimination. Institutional grant. As part of the institutional grant, new strategies for acquiring funds and allies are developed and tested. The communication competences of the organization are strengthened by creating the campaigns, building a new website and training the staff. We want to combine fundraising activities with the continuation of activities whose achievements we do not want to squander and on which we will continue to look for funds. taking the steps for changing the official names of the professions – including the female gramatical form. Karat’s research shows that the lack of a female gramatical form deepens stereotypes about professions sustaining the division into “feminine” and “masculine” works. The Polish Teachers’ Union joined the initiative. Together, an appeal was made to the Ministry of Family, Labor and Social Policy and to the Ministry of Education to introduce a female gramatical form in the official names of the professions. The letters and the answers of the ministries are available in Polish HERE. This initiative is run in cooperation with the Gender Equality Observatory. creating a campaign aimed at inspiring girls and women to choose the professions that are in demand on the labor market and which are better paid than feminised occupations. We want the entrepreneurs join the campaign to break down the barriers in women’s access to these professions. The message that the girls and women are welcome in these professions would encourage them to acquire qualifications that employers are seeking today. preparing information for the CEDAW Committee on implementation of the Committee’s priority recommendations for Poland to which the earlier reporting period applies (2016). The information was sent on behalf of the Coalition for CEDAW and based on previously performed monitoring (continuation of project E2 / 1106 from the EEA). 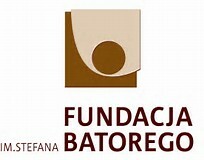 The activities within the institutional grant are financed by the Batory Foundation , program “Counteracting discrimination”. Share the post "Counteracting discrimination. Institutional grant."